it was dreamy, romantic and exceeded all of our expectations by far! Beds and pillows were very comfortable. The view was great and the hosts were excellent. The villa have every think you need and an amazing very view! The location is great, it's close to everything around and to some stores and resturants. We had a very nice time there. Everything. Location is great; great beaches nearby;Facilities is very good - villa is new; owenr is very nice and helpfull. There are supermarket and Taverna in the village. Awesome! We loved the whole experience. Lovely ladies who gave us information and came to clean. Amazing location with views to the sea and sunset. Very comfortable accommodation and although there are four villas fairly close to each other it was very secluded. 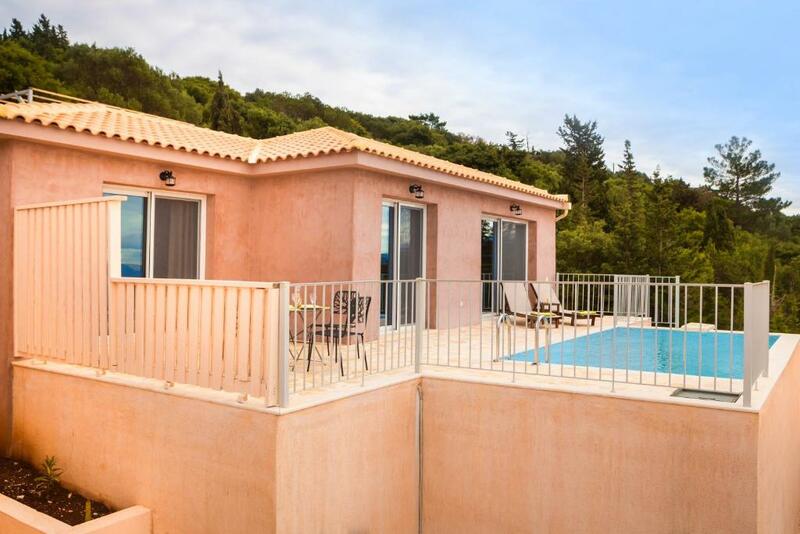 Perfect villa for a couple, great location, amazing views and fab pool! 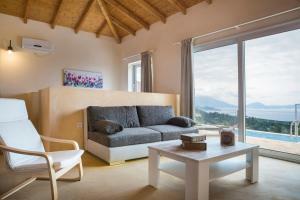 Lock in a great price for Magganos Sunset Villas – rated 9.6 by recent guests! Located in Mánganos, Magganos Sunset Villas provides accommodations with free WiFi, seating area and a kitchen. 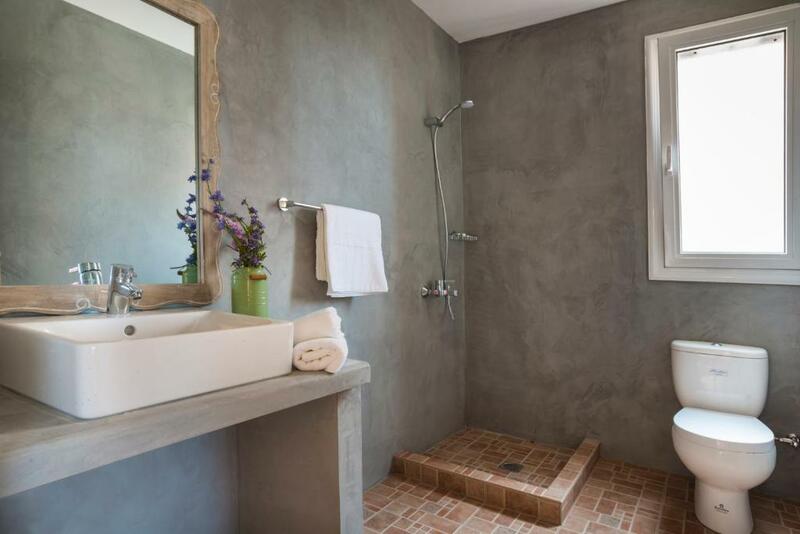 Every unit has a private bathroom and shower, air conditioning, a flat-screen TV and a dishwasher. An oven and coffee machine are also offered. The villa has an outdoor pool. 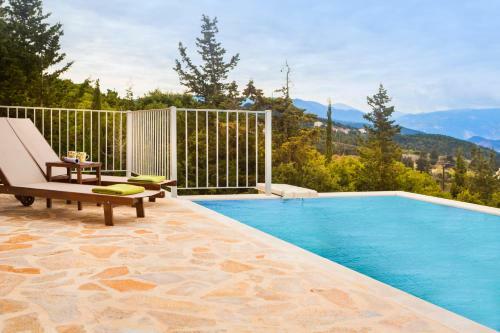 A terrace is available for guests to use at Magganos Sunset Villas. Sami is 21 miles from the accommodation. 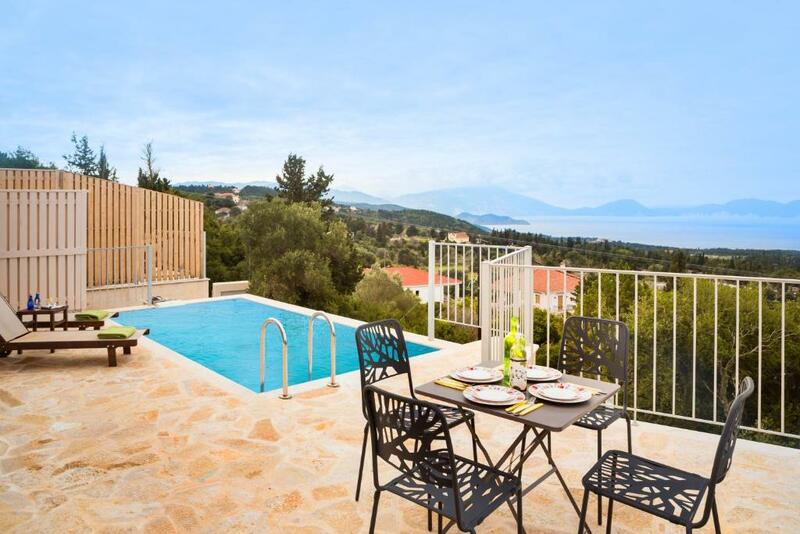 Kefalonia Airport is 32 miles from the property. This property also has one of the top-rated locations in Mánganos! Guests are happier about it compared to other properties in the area. This property is also rated for the best value in Mánganos! Guests are getting more for their money when compared to other properties in this city. When would you like to stay at Magganos Sunset Villas? This villa has air conditioning, sofa and flat-screen TV. This villa features a sofa, private entrance and dining area. This villa has a microwave, oven and washing machine. This villa features a dining area, air conditioning and kitchenette. 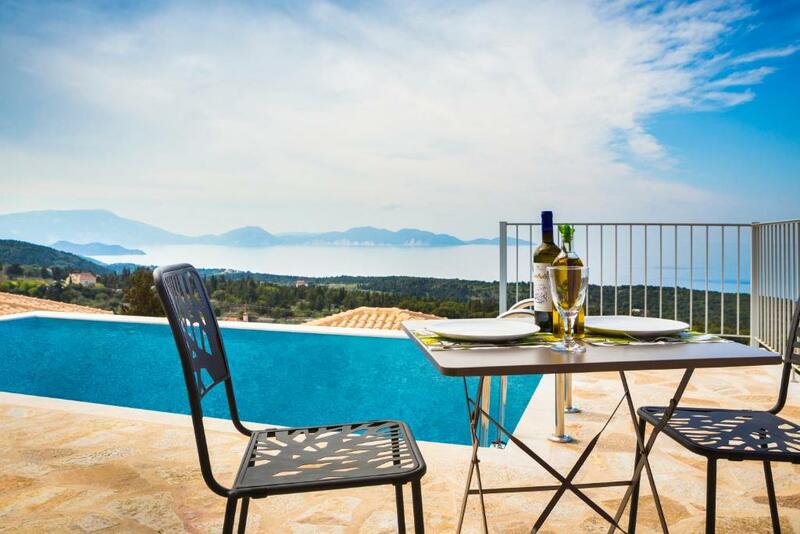 Magganos Sunset Villas are situated on the hills of Fiskardo area, at Steliata settlement, overlooking the amazing view of Kefalonia island western shoreline. Newly built in 2016, the property is consisted by four villas made with all the luxury comfort and facilities needed for the most amazing experience. 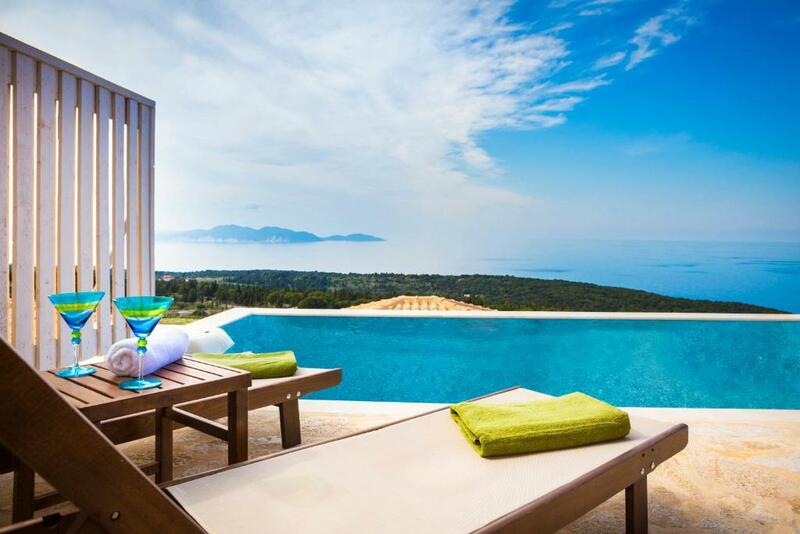 Every villa has private swimming pool, outdoor terrace with magnificent sea view, fully equipped kitchen and parking. House Rules Magganos Sunset Villas takes special requests – add in the next step! Magganos Sunset Villas accepts these cards and reserves the right to temporarily hold an amount prior to arrival. Please inform Magganos Sunset Villas of your expected arrival time in advance. You can use the Special Requests box when booking, or contact the property directly using the contact details in your confirmation. The bed linen was small for the bed size. good quality and size of bed. The bed was a little too hard, the road from the Main Street up to the Villa is very, very poor and could cause damage to a valuable smaller prestige vehicle...it needs some serious attention. The swimming pool motor comes on during the night and the noise is a little disturbing...could be easily fixed. The Television reception is very bad and needs to be fixed. Excellent views and away from crowds. The road leading Up to the units from the main road was terrible. Although the host did answer our calls very quick we didn't got to meet him and have a warm welconing and that was a little bit disappointing. The road to the villa is really rocky and it's hard to get there with a private car and the Air - Conditioner is smell and not colling the villa enough. The outstanding views from your private balcony overlooking sea, best place to enjoy a couple of sun downers whilst watching sunset. Incredible friendliness from all staff. It was quite difficult to find and some attention should be paid to the track leading up to the property. Beautiful property, with amazing views. The facilities are first class and would not hesitate to revisit.